April is usually a rainy month due to the position of the jet stream. 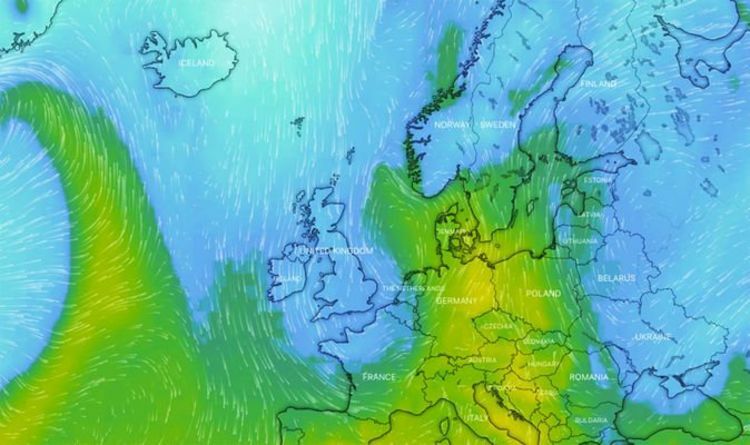 This allows large weather depressions to bring the rainy weather over the British Isles from the Atlantic, and is a big reason why the weather at this time of year is so changeable. The saying “April showers bring May flowers” certainly seems to hold true with a look at the current forecast. The bookies have it that parts of the UK could even see snow this month. Leading bookmaker Coral makes it odds on at 1-2 that snow falls in any major UK city during the month of April with temperatures set to plunge across many parts over the next fortnight. And they have it at 6-4 for snow to fall over Easter weekend, with parts of the North East expecting minus temperatures as early as this week. Coral’s Harry Aitkenhead said: “We’ve been spoilt rotten over the last few weeks with some spring sunshine blazing down, however it all looks set to come crashing to a halt as we get deeper into April. He added: “We are much more used to getting excited about the potential for a White Christmas but this year there could be a White Easter, which would be almost unheard when it falls so late. What is the Met Office forecast? The Met Office forecast shows the weather cooling down this week. The latest forecast says: “After a chilly start, most of England and Wales will be dry and increasingly warm, with plenty of sunshine in the south and east. Towards the end of the week the agency forecasts: “Showers or longer spells of rain, and some strong winds will affect most areas at times. Into the second half of the month, the Met Office said the weather will be “mixed with areas of rain and showers affecting the UK, most prevalent in the east and northeast but possible anywhere. But fear not, the cold won’t last for too long: toward the end of the month it’ll warm up again. The Met Office said: “As is typical for spring, there is a lot of uncertainty in the forecast as we go further through April. However, the weather is most likely to stay fairly settled. Some wetter interludes are still possible from time to time, these perhaps mainly affecting the south and southwest.